Aron Gunnarsson joined Cardiff City on a free transfer from Coventry City in July 2011. 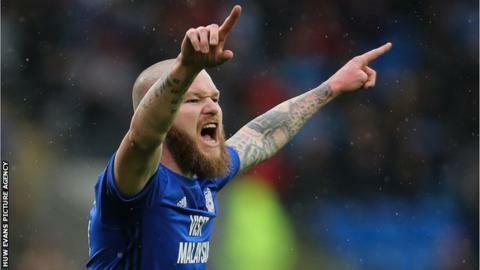 Cardiff City midfielder Aron Gunnarsson will join Al-Arabi at the end of the season when his contract expires. The 29-year-old signed a one-year extension following promotion to the Premier League last year but will now move to the Qatar Stars League. The Iceland captain will join on a two-year deal and link up with former international boss Heimir Hallgrímsson. Gunnarsson is the Bluebird's current longest-serving player having played 278 games, scoring 25 goals. He has played in 20 of Cardiff's 30 Premier League games this season, netting once against Wolves in November.